All script modifications were already incorporated to IEs4Linux (see version 2.99.0). But we decided to also join forces to make the Mac GUI, Mac Application Bundles, easy Darwine installation and other things. That’s what we are calling the future IEs4Mac. The GUI is written entirely in Python. Mike did something with ObjC before, but I’m now rewriting this. The point here is to have the same GUI on Linux and Mac, that’s why I chose Python. I’ll provide two implementations now: PyGTK (Linux) and wxWindows (Mac and Linux). You can see the python script (preliminary stage!) on svn. I like those GUIs because end-users can run our software easily. But, as a power user, I like automated scripts too. That’s why we though about those “flavors”. And, as you may think, the core of ies4linux+mac (99%) is the same with all four downloads. So that’s where we are now. We are working hard to make this happen soon. Also, I’m working on bugs and improvements you sent to me since our last post (thanks everyone for that). And a special thanks (from Mike and me) to people that support this project with donations. This week I finished our latest redesign. I made a cleaner design with some new features, such as the top bar that is visible everywhere (wiki, blog, forum). Also the right column has links to Beta version and Last News (many people didn’t know before that we had a beta version…). I hope you liked the new design. The most exciting thing for me wasn’t the site itself, but how IEs4Linux helped me doing it. There was a long time since I made a full design thinking about IE compatibility etc. When I started this new design I decided to make IE versions as close as possible to the “original” version. And usinf IEs4Linux it’s a lot easier to make web design using Linux. And I noted that Linux is the most exciting web development platform. What I used: Inkscape and Gimp for design, Kate for coding and IEs4Linux+Firefox+Konqueror+Opera to test everything. I started IEs4Linux two years ago as a completely free and open source program, entirely developed on my free time. But, today, I can spend more time on IEs4Linux, to improve our program and implement new features (lot’s of things, macosx/freebsd/solaris compatibility, ie7, Java, more plugins and other cool ideas). That’s why I’m asking you to financially support this work. I love open source. I love to use good products without having to pay for it too. But when I see some program that is valuable to my work, that helps me making money, I think it’s a good idea to support this project. Reasons to support open projects: Because open source is cool? Yes. To thanks for a great tool? Yes. To help a small project created by one single developer? Yes. To help the project evolve because this will help my work and my earnings? Yes!! So, that’s what I’m asking you: if IEs4Linux helps your work, saves your time (time is money, remember?) and increase your earnings, support this project. The simpler way is to make any small donation via PayPal. But you can also signup for DreamHost using our promo code, or signup for Google Adsense using our banner. Anyway, if you can, support this project. See our “Contribute” page. IEs4Linux intention is to help WebDesigners like me to easily migrate to Linux (of course you can use IE to anything else :-)). 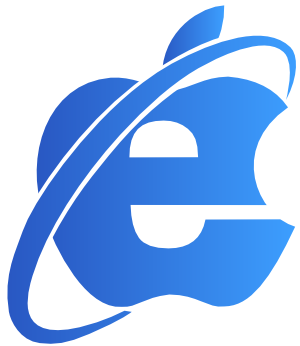 WebDesigners still needs IE to work, because we need to test our Sites. IEs4Linux grows a lot every day, since 2005, what is a great thing. But it was never my intention to fully work on this tool, so I still develop IEs4Linux on my free time. Lately, I’m spending a lot of time on it, to help users, to improve the program, to research about better solutions (IE7 is coming soon). So, your support is very welcome! And, of course, a very very special thanks for people that support this project not with money, but with work. Testers, translators, forum visitors and people that wrote about it all over the Internet. Thanks!